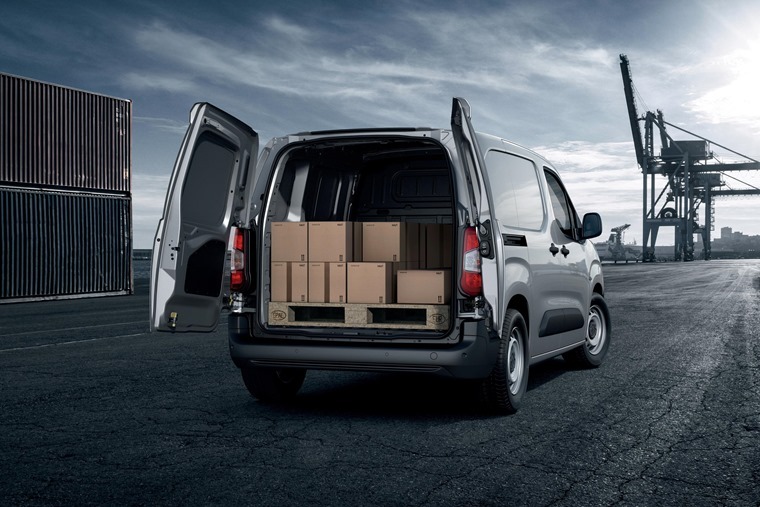 The all-new Peugeot Partner compact van has been revealed, with order books set up open in the autumn. The new version gets its looks straight from the recently revealed Rifter MPV, and shares underpinnings with the Vauxhall Combo and Citroen Berlingo. 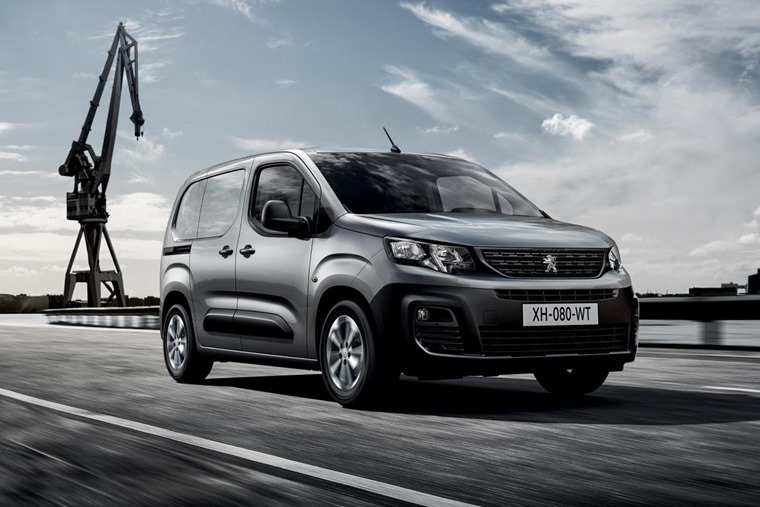 While it is first and foremost a van, there are styling elements from Peugeot’s latest passenger cars, namely a high grille that dominates the front of the vehicle. Inside, the biggest change is that there is now three seats in the front thanks to the gearstick moving up on to the dashboard. 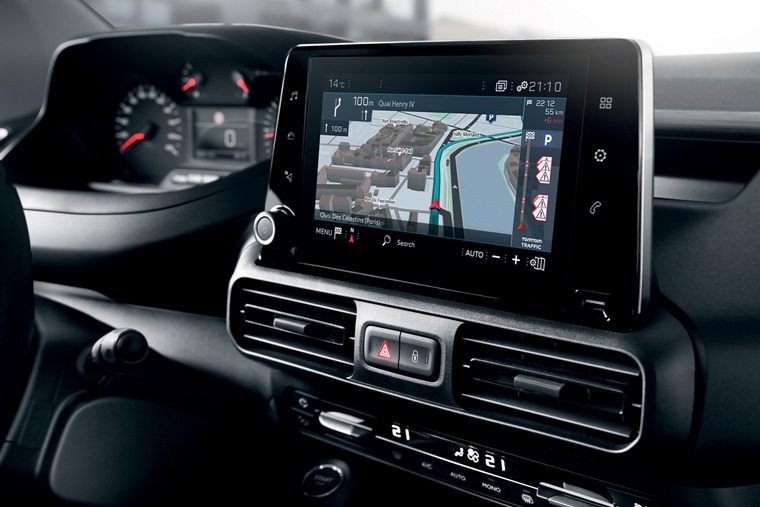 An 8in touchscreen is also present, with other new optional tech including a head-up display and a maximum payload weight warning. It comes with two USB sockets, one auxiliary socket and Bluetooth. Wireless smartphone charging is also available as an option. The system is supplemented by Mirror Screen that is compatible with Mirror Link, Apple Carplay and Android Auto. 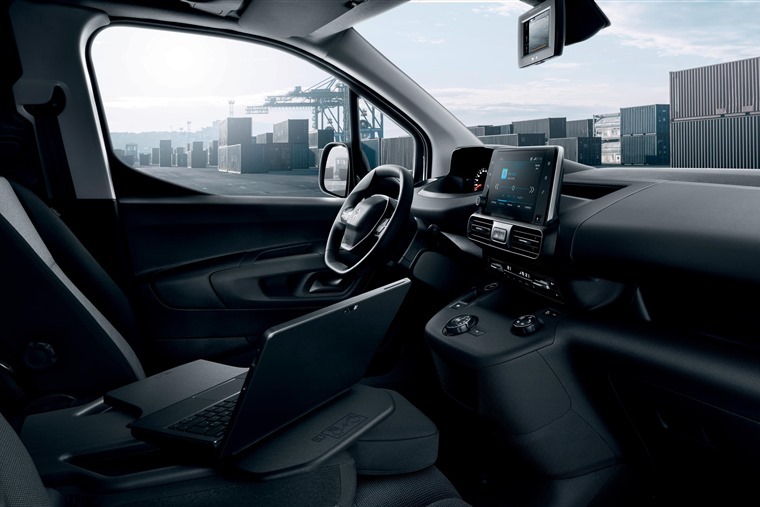 For the benefit of fleet managers, a number of telematics packages will be on offer via Free2Move Connect Fleet, which are set to provide “efficiency and optimisation in fleet management”. The van is available in standard and long-wheelbase, with the former having a payload of 650kg and a 1.81-metre-long load areas. Load length for the longer variant is 2.16 metres, while cubic capacity stands at 3.3 and 4.4 cubic metres respectively. The Partner utilises a new platform that uses elements of PSA’s latest EMP2 chassis. Engines consist of a 1.2-litre petrol available with either 108bhp or 128bhp, and three diesel options that produce 73bhp, 98bhp and 128bhp respectively. The most potent diesel can be had with either an eight-speed automatic gearbox (from 2019), while the 73bhp and 98bhp variants get a five- and six-speed manual respectively. Official stats are to be confirmed. Order books will open in the autumn, but if you can’t wait until then, you can find hundreds of business lease deals on the outgoing Partner by clicking here.